We are pleased to host Palestinian trade unionist Imad Temeiza, who is here in Halifax as part of a speaking tour in Canada. He will be speaking at the Glitter Bean Cafe, this Monday, Feb 25 at 6:30pm. 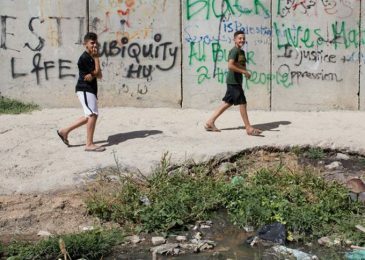 This is an exciting opportunity for local union activists and anyone wanting to know more about workers’ struggle in Palestine. 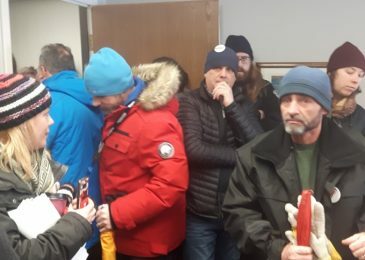 Today at noon some 15 labour activists briefly occupied the office of Andy Fillmore, the Liberal member of parliament for Halifax, to protest the Canada Post back-to-work legislation, while others rallied outside. 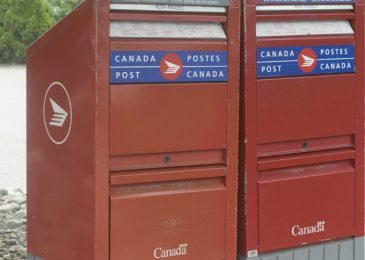 News brief: In an oral decision delivered earlier today at the Nova Scotia Supreme Court, Canada Post was granted a province-wide injunction against picketing activities. 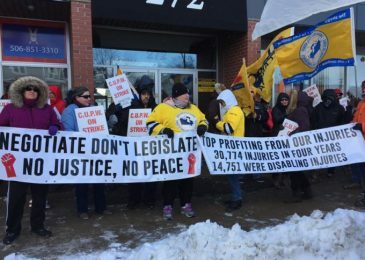 A little something about the right to strike, how good things happen when workers go on strike, and a call to support the six activists arrested and charged by Halifax police. Tony Tracy is one of the six labour activists who last night were arrested after picketing in support of the postal workers who were legislated back to work. This is what Tony posted on Facebook after his release from custody this afternoon. 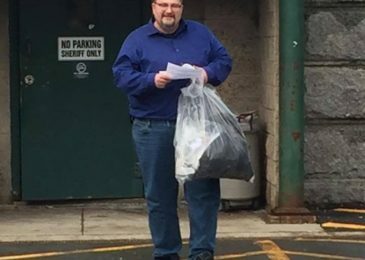 Some 700 Canada Post workers, who provide mail service in the urban parts of HRM and from Lake Charlotte to Hubbards, walked off the job today. 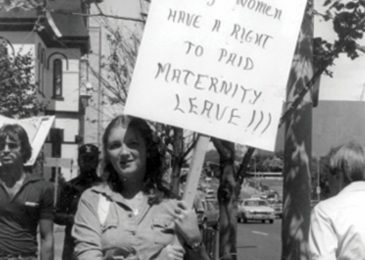 When I visited the picket line on Almon Street I assumed that the job action would be part of a series of rotating one-day strikes across Canada. 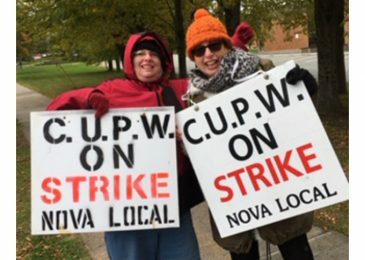 That’s not the case, the Canadian Union of Postal Workers strike action in the Nova Local that began on Monday, November 12, 2018 at 8:00 pm will continue until further notice, a media release announces. I updated the article to reflect that change. 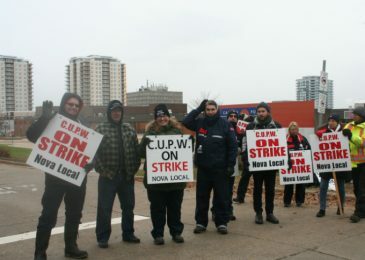 The Nova Local postal workers are back on the picket line as of 8 PM tonight, Monday, November 12. Rotating strikes continue as little progress is made at the bargaining table.